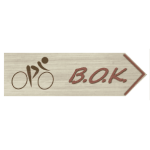 The route “By Bicycle around Kalnik” passes through the most attractive parts of the Kalnik landscape. It begins in Kalnik and heads east by the south slope of the Kalnik Ridge, which provides a beautiful view of Prigorje, and then passes through the rocky Vratno canyon. It then leads us further, along the Kamešnica Creek to the village of Ljubelj, situated in the heart of the Kalnik forest. After Ljubelj, and through the canyon of the Hruškovec, it climbs back toward Kalnik.